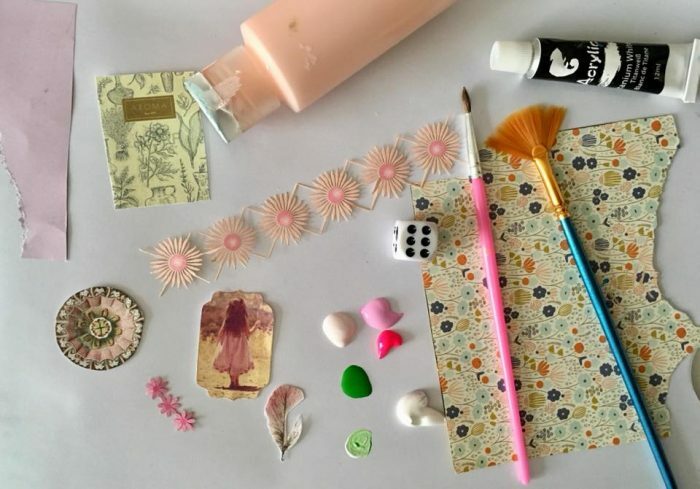 In this exciting mixed-media collage workshop we will let the Universe be our guide, using the “Random Guidance” method. 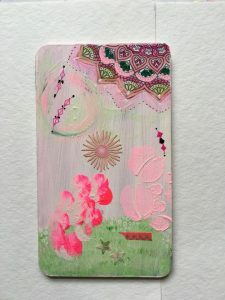 This is how it works: you will start with a small canvas, a selection of your favorite acrylic paints, a sealed envelope with collage items….oh, and a dice – a preconceived idea or theme in mind is not part of the deal. Each time you throw the dice you refer to the corresponding number on a piece of paper which will prompt you to what to do or use next. 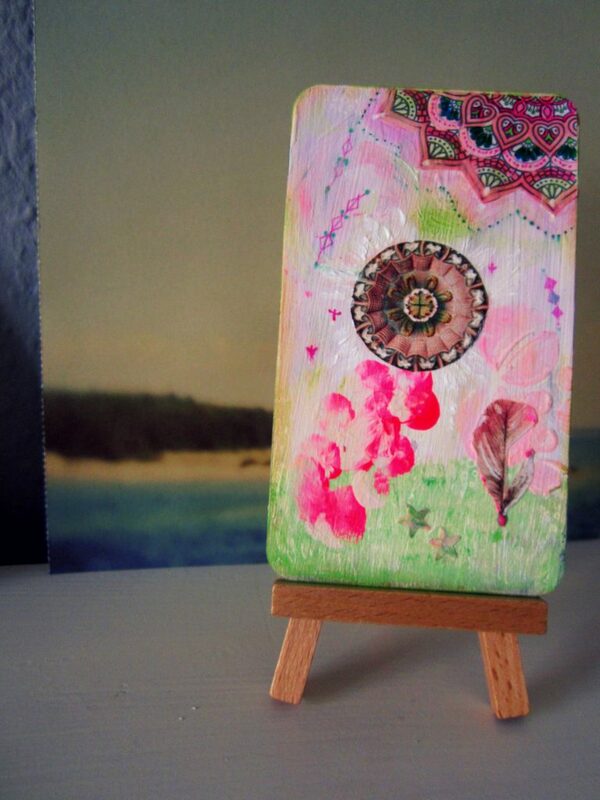 There will be up to 15 different (and often unusual) creative prompts to guide you towards creating your artwork. You will start not knowing where you’ll end up. This is a wonderful method for letting go of the outcome and just trust in the process of (co)-creating. You will be surprised and delighted once your piece is completed! A wide range of fun art supplies, materials and mark making tools will make this journey really fun and enriching. I can’t wait to see your serendipity creations!